How do I know whether places are available? Our courses are always up to date on UCAS, if you look for the course and find it on UCAS with ‘vacancies’ next to it then there should still be places available. We will also update our own website and social media as soon as possible. Remember that places are awarded on a first-come-first served basis to the right candidates who meet our criteria. Each year we are open for applications between late October and early June, or until we have filled our places in a particular subject. To meet the national criteria you must have a GCSE (or equivalent) in maths and English of grade C/ new grade 4 or above, those applying for primary must also have a science grade C/ new grade 4 or above. You will also need to have completed an undergraduate, first degree before the start of the programme. If you do not have a GCSE qualification you will need to undertake a certified Equivalency Test, please see the section below for more information. How much academic training is there and how much will I learn ‘on the job’? Our programmes provide a careful balance of time in your placement schools, central training days and subject specialist input designed to provide you with school experience and an essential teacher’s toolkit. This balanced approach means that you will be ideally prepared to start your career as a great NQT (Newly Qualified Teacher). On successful completion of our programmes you will be awarded QTS (Qualified Teacher Status). This is the professional qualification for teachers in England and is the qualification that nearly all schools, academies and free schools expect applicants for teaching jobs to have. For everyone who trains with us there is also the option to add a Masters level PGCE to your programme, subject to an extra fee for both salaried and non-salaried routes. The PGCE element is provided and assessed by Oxford Brookes University. You can register for the PGCE element once you have started your QTS programme with us. 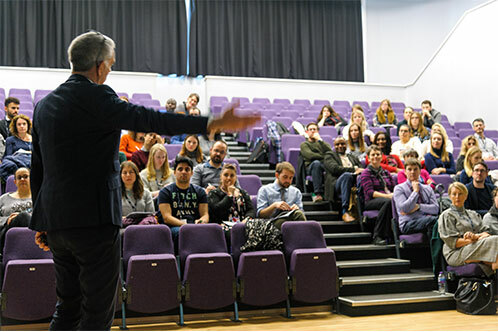 The face to face sessions for the PGCE (approximately 30 hours in total) take place outside school hours – usually as twilights/ weekend sessions. Between 30% and 50% of each cohort that trains with us undertakes the PGCE in their training year and an increasing number wait and do it in subsequent years so it is not a ‘now or never’ decision. You can make the decision about undertaking the PGCE once your QTS programme has started with us in June/ July. Do I get to choose which school my placements are in? There are many factors which affect decision-making for placements but ultimately the decision will be made by the Director of SCITT and partner schools. As the only provider that works solely in Oxfordshire we are able to be very flexible in our placement arrangements so if you have any specific concerns or a preference for an area of Oxfordshire then you can let us know at interview. We will always try to accommodate preferences but cannot make any guarantees. I am working as a Teaching Assistant, can I do my training at my current school? If you are successful it may be possible to complete your main placement at your current school, you should discuss this with your Headteacher in advance of application and they must contact us to confirm that they would like to sponsor you. Remember that you will complete two placements and will need to be successful in the normal recruitment and selection process; working in a school is not a guarantee of a place on the programme. Absolutely, all of our programmes are open to people of all ages and backgrounds, the salaried route is designed to be an option for career-changers with experience within and outside education. Have a look on our website for the Person Specification and details about the different programmes to decide which route is best for you. Can the SCITT support with finding accommodation? Yes, if you are new to the Oxfordshire area or are looking to move then we might be able to help you find suitable, affordable accommodation. We have generated links with a housing company which provides shared flats for teachers and NHS workers. Please use the contact form to enquire about this if you are interested, information will also be provided in Welcome Packs for successful applicants. I heard that you need 3 years work experience for the salaried programme, is this true? It is no longer part of the essential criteria for salaried candidates to have 3 years post-degree work experience, however this is still desirable. Due to the salaried nature of the programme candidates must be able to demonstrate well-rounded skills and experiences which will enable them to tackle the more demanding approach to the programme. I’m retaking a GCSE but I won’t know my result until the summer, can I apply now? Yes you can, but we will ask you to complete an Equivalency Test in advance of the summer training so that you are able to evidence meeting all conditions of your offer before the programme begins. You are welcome to complete the GCSE in addition to this but it would not be a condition of your offer, the Equivalency Test is enough to certify your qualification. See the Equivalency Test link below for more information. All teacher training applications are made via UCAS, you will submit your form with them and notifications of interview and offers will be sent through the UCAS portal. The UCAS website has lots of useful information regarding application advice and has details of deadlines and opening dates. You can simplify your search and find details of our programmes by using our provider code 1DE. Student Finance England is the organisation that arranges bursaries and special support grants for students in the England. Eligible Welsh nationals/ residents should alternatively apply through Student Finance Wales and may receive additional grant funding. To discover what you may be eligible for visit the student finance website and use the calculator tool. The calculator is particularly useful for working out whether you are entitled to a particular loan, a Childcare Grant, Parents’ Learning Allowance, Child Tax Credit, Disabled Students’ Allowances etc. Undertaking and evidencing relevant school experience is really important for your application; we generally expect that candidates will have completed some work experience or school experience/ observation days. Unlike some providers we do not specify a required number of days, as we think that a smaller number of high-quality experience days is far more valuable than a lot of days which were not as valuable. However, we want to be sure that you have experienced life in the contemporary classroom and that this has informed your career choices so it is unlikely that we would invite someone to interview who has spent two days or less in a school environment. Please check the requirements with individual awarding institutions and remember that high level salaries and bursaries are available if you are not eligible for a scholarship. All applicants for Initial Teacher Training must have a GCSE grade C or equivalent in English, maths and also in science for primary programmes. If you do not have one or any of these qualifications (or a recognised equivalent) you will need to book an Equivalency Test. Please note that if you have applied for a statement of comparability from UK NARIC you are not required to apply for an Equivalency Test, unless the qualification is not recognised as equivalent to GCSE grade C or above. There are different options and providers available and you are welcome to arrange this yourself with your chosen provider. However, we work closely with Educate Teacher Training who provide Equivalency Testing for other Initial Teacher Training providers and our recommendation would be to obtain your Equivalency Test through this route. For candidates using Educate we are able to invigilate and host the exam in our training suite at The Cherwell School and process and return the papers for you on set dates throughout the year. Please see our events page for more information. We ask that anyone applying to an Oxfordshire Teacher Training programme who holds overseas qualifications contacts NARIC for a statement of comparability. This should be done in advance of interview and must be done before an unconditional offer can be made. NARIC will confirm that the level of the qualification studied meets a number or criteria regarding comparability to the public examinations taken at GCSE level and studies at UK undergraduate degree level. Please note that there is a charge per standard application, but multiple qualifications can be made on one application and therefore most applicants need only apply once. All candidates will need to pass the skills tests in numeracy and literacy in advance of their teacher training; you can register and book once you have submitted your UCAS TT application. You will have three chance to pass each but after that you will not be able to take the tests again for 24 months, it is therefore really important to practise and prepare- there are plenty of materials available online. We ask that candidates contact us if they have failed either skills tests once, we may be able to help you and offer advice on how to pass next time. For more information about the skills test you can visit the Get Into Teaching website, the DfE website and the LearnDirect website. If you have particular access requirements or special educational needs such as dyslexia you will need to contact LearnDirect to discuss.